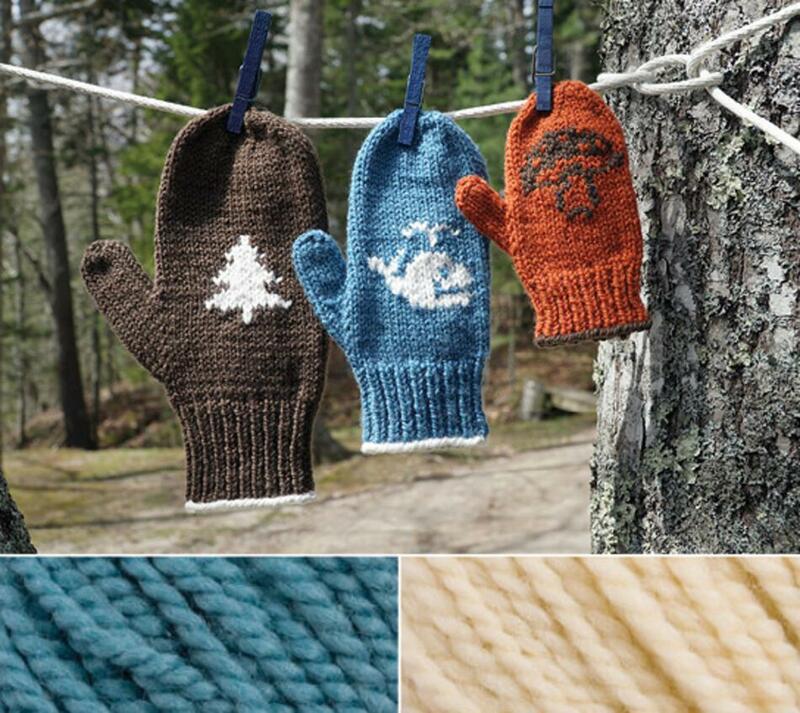 Sized for the whole family, these mittens can be customized in countless ways. We chose motifs that remind us of our home here in Maine - from the spouting whale and very nautical anchor to the earthy mushroom and woodsy pine tree. Empty charts are provided on the back page for you to come up with your own motifs if desired. These mittens are worked flat on straight needles. Appx. 80 yards Natural White. Finished hand circumference: 6.75 (7.75, 8.75)"